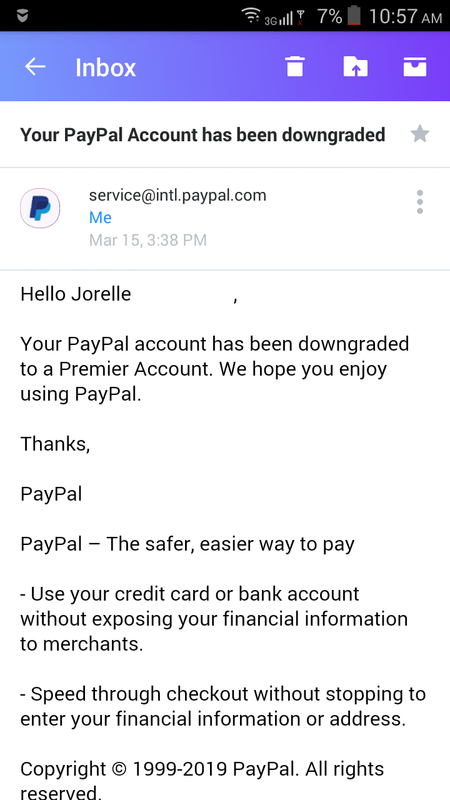 Last 16th of February, I shared my issue with PayPal about confirming my identity and I mentioned there that I requested for a downgrade for my account, from Business to Premier. 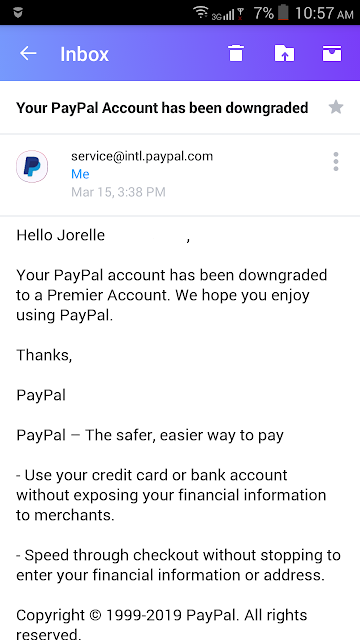 After a month, I received an email from PayPal confirming the successful downgrade. 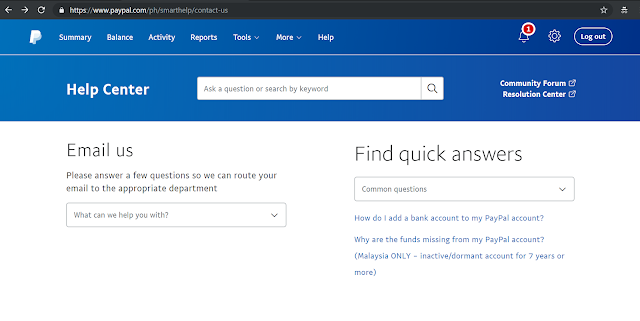 I totally forgot about it already as my concern with my identity confirmation has been already addressed so after I sent that request to them, I actually never followed up or whatsoever. 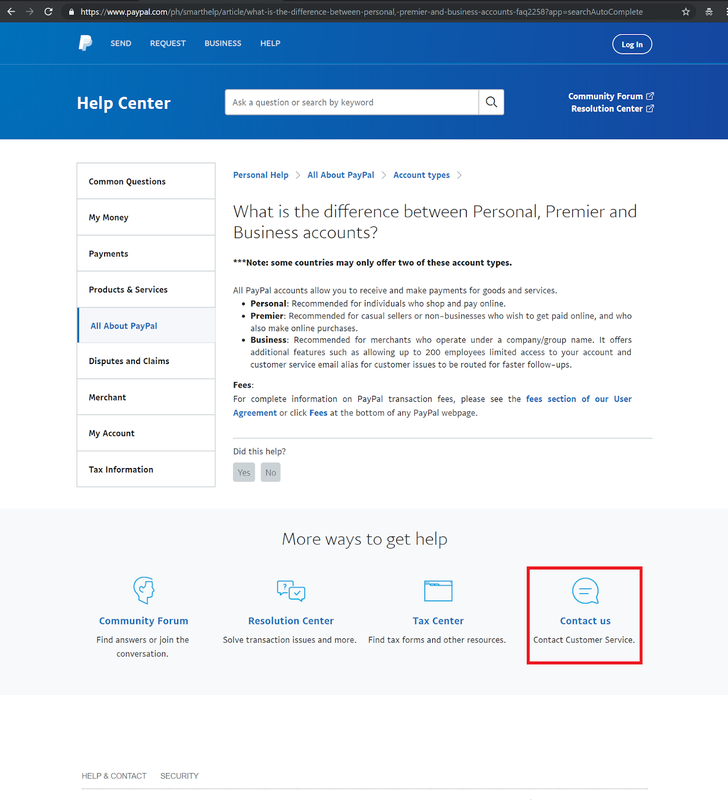 I searched for an option to change my account type from business to personal. I can't even remember how I registered my account and turned into a business account (although my business account was named after me as well 😳). But as to what I've read, there's no option to do that. I can only downgrade my account from business to premier. So I searched the difference between the two. 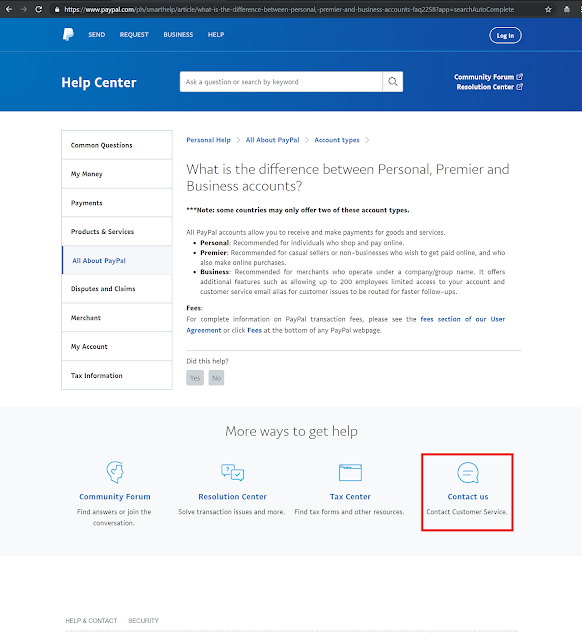 According to PayPal's FAQ section, all PayPal accounts allow you to receive and make payments for goods and services. Business is recommended for merchants who operate under a company/group name. It offers additional features such as allowing up to 200 employees limited access to your account and customer service email alias for customer issues to be routed for faster follow-ups. 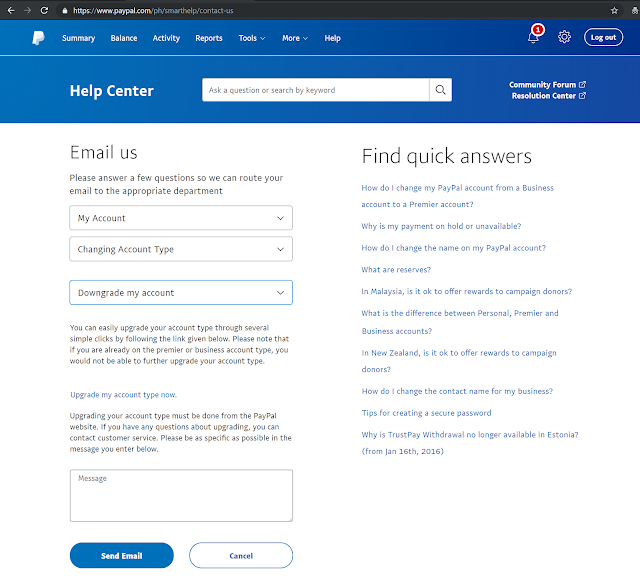 So I decided to send them a request to downgrade my account. From the FAQ section, I scrolled down and clicked on Contact us. And filled up the necessary fields. 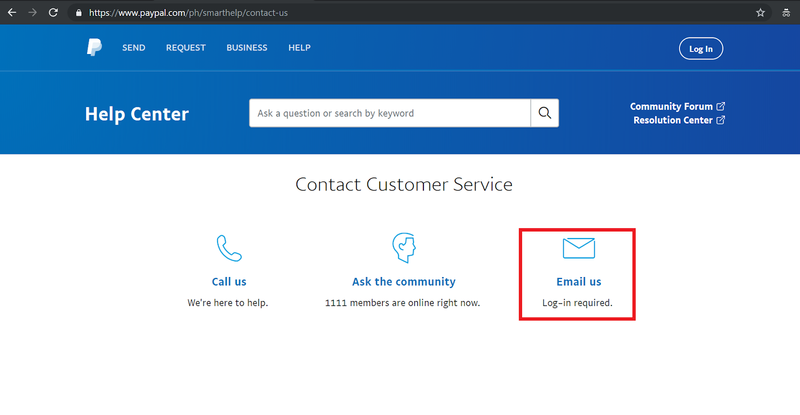 With the "What can we help you with?" 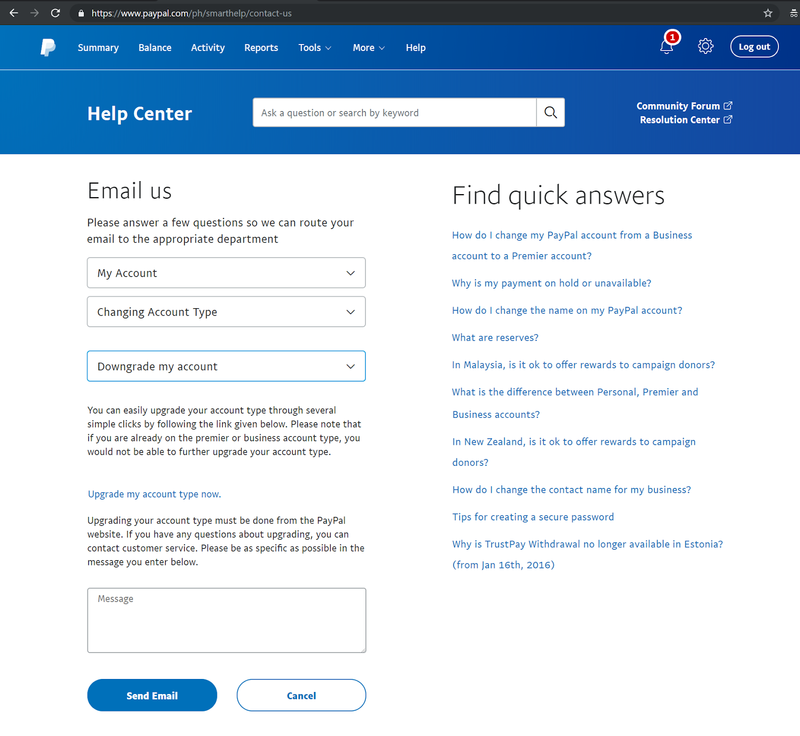 I chose My Account, then chose Changing Account Type, then Downgrade my account and typed in the Message box my reason, etc. and sent the email. I emailed them on 10 February and that's basically it. Just wait for their confirmation which as for me, took them a month.